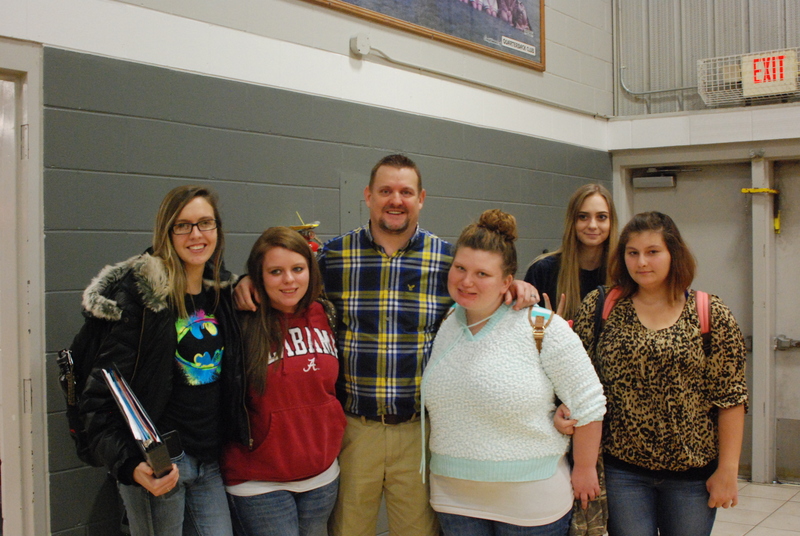 WEST POINT – On Tuesday, Jan. 26, Brian Earley, founder of Think2Change, talked to the students of West Point High School about his struggles with abuse, depression and suicide. A phenomenal speaker, Earley told of his tragic childhood and how one special person gave him a reason to live just by becoming his friend. He hopes to empower teenagers throughout the southeast to be the same ‘power of one’ in the lives of others. “She dropped me and my brother off at a foster home,” Earley said of his mother. She left when they were just kids. Sadly, Earley said he has no happy or loving memories of her because of the abuse she dealt him and his brother all their young lives – she even tried to kill them on more than one occasion. Earley’s father eventually regained custody of him, but he never saw his brother again. Though he was back with family, the peace was short-lived. He found himself living with an abusive half-brother and an alcoholic father. Before his 14th birthday, Earley endured both physical and sexual abuse. He also faced the death of his father. After his father died, Earley was sent to live with his grandmother. To him it just meant going to a new school where there was a new group of bullies, but then something happened that took him by surprise. He met a girl named Brandy and her kind words changed his life forever. The two became best friends and Brandy’s parents became the family Earley never had. “Her family took me in…came to all my ball games,” Earley said. “Though the chaos didn’t immediately go away, it became easier to deal with. I had a friend. For the first time in my life, someone cared,” he smiled. After his grandmother passed away, Earley spent six years in the U.S. Navy. Afterwards, he got married and had a daughter before his past caught up to him. “I started thinking about how the world would just be better off without me,” he said, reflecting on the difficult times. After Earley survived a suicide attempt, a very special counselor entered his life. The counselor told him the scars from his past could provide hope for others who had been through similar trials. Earley took the counselor’s advice and founded Think2Change in 2010. He now works to evoke change by making students aware of the power they have to change lives. Bringing social awareness about school bullying, depression, abuse and teen suicide means meeting with lots of teenagers, either by visiting schools, churches or both. From the moment Earley begins to talk, the kids hang on his every word. His humor and ability to relate to them is nothing short of amazing. He keeps their attention to the very end, and the students leave with the feeling they’ve just made a new friend. “I’m an open book,” he added. “I normally get a lot of emails from kids after I give a talk. I always promise them I will personally answer every single email they send. Every school I speak at I can count on between 100 to 150 emails,” he grinned. “I spoke at Florence last week and received 175 emails. I went to Cold Springs High School yesterday; it went really well. It’s a small school; they only had about 200 kids come to hear me, so I figured I’d get about 30 emails. Turns out I got emails from all 200 kids! The students at West Point High School seemed to enjoy what Earley had to say. He made them laugh, but he also made them think. Earley’s life has been extremely traumatic, and he still cries as he tells his story. But his scars serve as a reminder to him that one person can make all the difference in the world to someone who just needs a friend. For more information about Earley and Think2Change, go to http://www.think2change.org/ or follow them on Facebook at https://www.facebook.com/think2change.org.